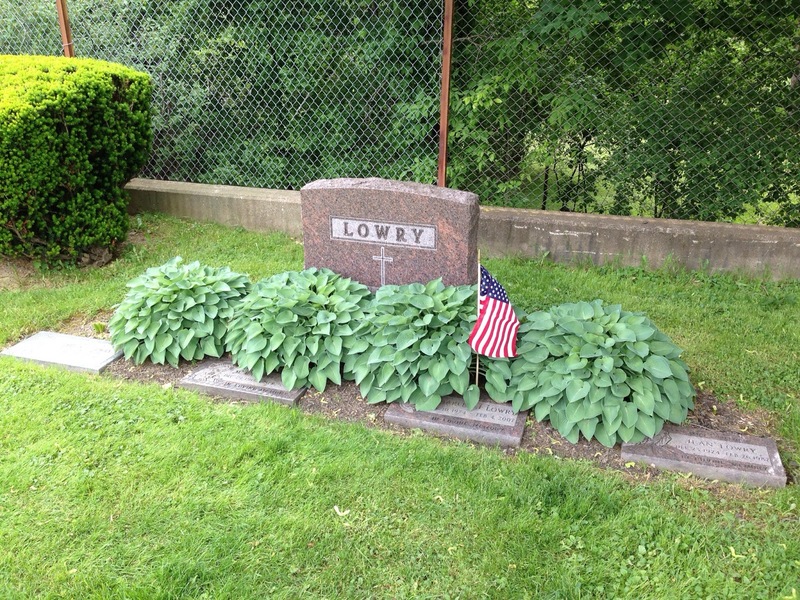 My great grand uncle Edward Martin Lowry served in the United States Army for nine months during World War I. His 1917 draft registration card indicate that he was living at home with his parents at 184 W. Main Street in Leetonia, Ohio. 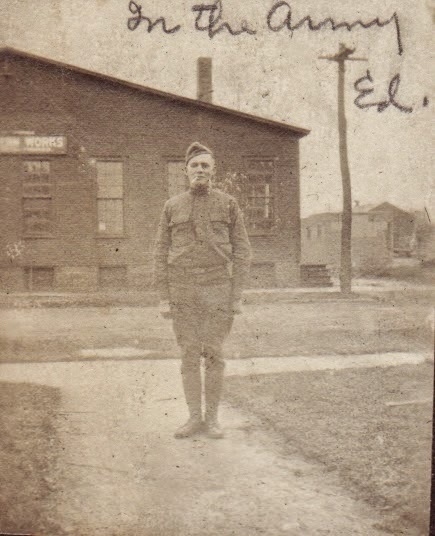 Ed served in the Ordnance Department, which was “charged with supplying the Army with arms, equipment, and ammunition…establishing and maintaining arsenals and depots for the manufacture, repair, and safe-keeping of ordnance, and provide horse equipments and field outfits for Soldiers, such as canteens, tin cups, knives, forks, and spoons.” Ed was inducted on 13 Aug 1918 and discharged on 27 Mar 1919. He remained a Private through his brief service. Note: This photo previously appeared on the blog here. Moss, James (1917). Officers’ manual. George Banta Publishing Company. p. 79. 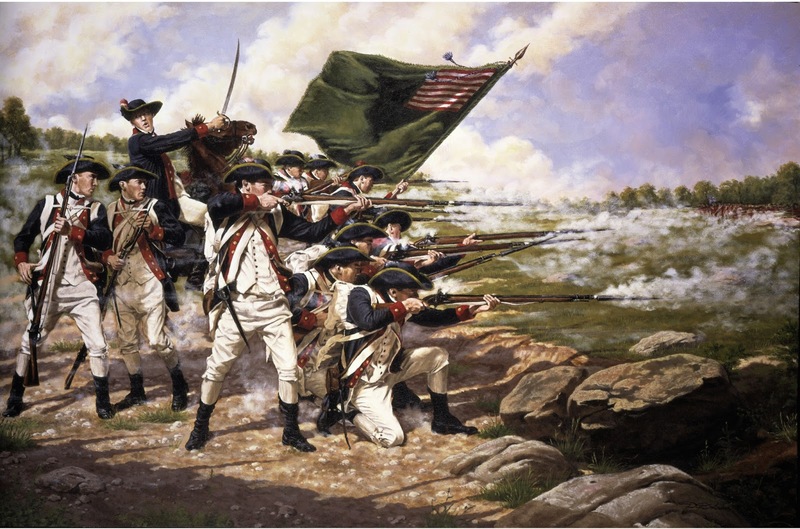 A few days late, but many genealogy bloggers are in honor of the Fourth of July writing about their ancestors who fought in the American Revolution. I have at least one, but perhaps more, direct ancestor who fought in the Colonies between 1775 and 1783. As my paternal ancestors didn’t arrive in the United States until the 1820’s, they are on my maternal side. Zephaniah Rogers served as a private in Captain Satterlee’s Company, Colonel Elmore’s Regiment of the Connecticut Line. Zephaniah is my 5th great grandfather through my maternal grandmother. He enlisted in the regiment on April 16, 1776, less than a month after the British evacuated Boston, for a period of one year. He served in garrison in Johnstown, New York and saw little, if any, combat. He was later awarded a pension for his service. 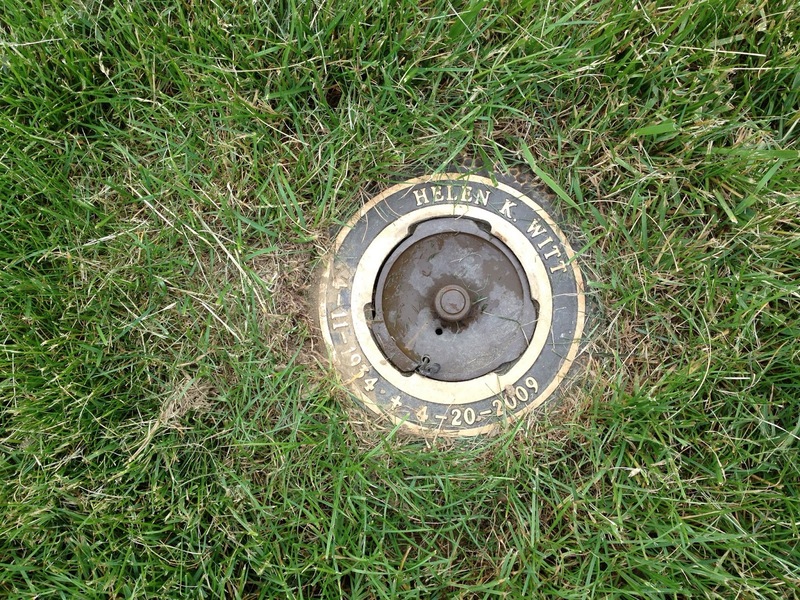 Zephaniah is buried in Indian Run Cemetery in Dublin, Ohio not far from where several of his descendants, including my aunt and sister, live today. I will certainly work to explore his life in the coming months and share those findings here. The other candidate whose service remains unexplored is Gottfried Wohlfarth (Wolford), who arrived in the United States around the time of the war and would have been of fighting age. He was 35 years old at the end of the war in 1783. I have not confirmed his arrival and thus, his service, if any to his new country. 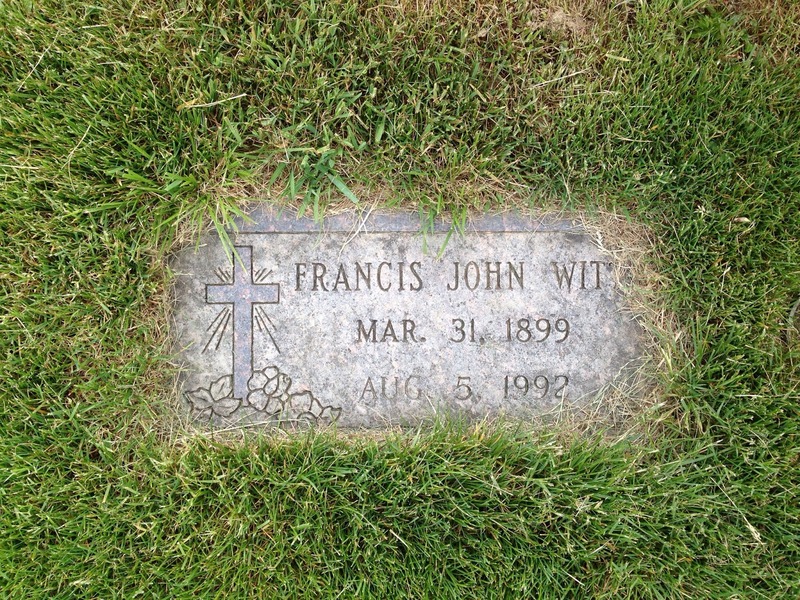 My great uncle Francis Witt served in the 547th Bombardment Squadron during World War II. He was stationed at RAF Grafton Underwood in central England. He was shot down and survived a harrowing evasion and escape effort in March 1944. Just two weeks prior, he posed for this crew photo. On February 21, the crew of the ‘Rum Pot II’ led by pilot Clarence Stearns stood in front of their girl for a mission to bomb the Lingen railroad yard and Werl airfield in Germany. On this mission, Francis officially served as the tail gunner. Though odd for an officer to serve as a gunner (officers on B-17s were slotted as either pilot, copilot, navigator or bombardier), on this mission the Rum Pot II served as the Group A squadron leader. 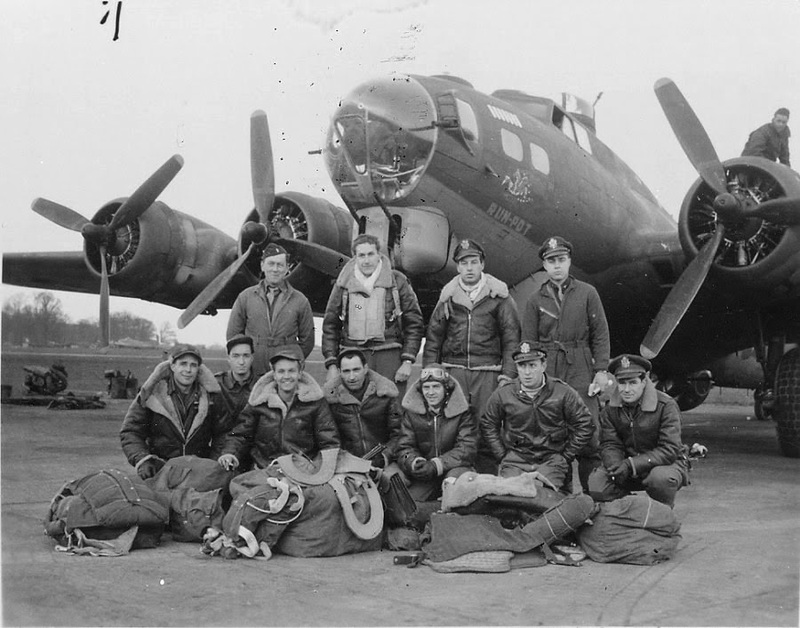 This meant that in addition to running the tail gun, Francis’s job was to ensure the other planes in the formation dropped their bombs appropriately. It was common to have a pilot or copilot fly in the tail gunners position on lead aircraft to provide the commander of the mission on the same aircraft a reliable, knowledgeable person that had formation flying and combat experience. Wordless Wednesday – Aim High! My grandfather Howard D. Witt (1929 – 2001) in his Air Force service dress uniform around 1950. This may be the photo taken at the conclusion of his basic military training. 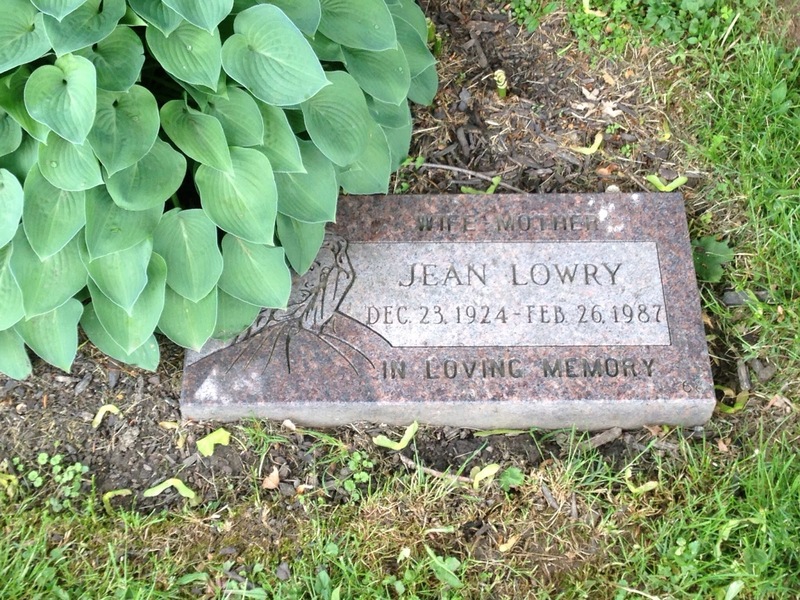 I took some time out this Memorial Day to visit Calvary Cemetery in Youngstown, Ohio. Calvary is the ‘home’ cemetery, and countless relatives are buried there. 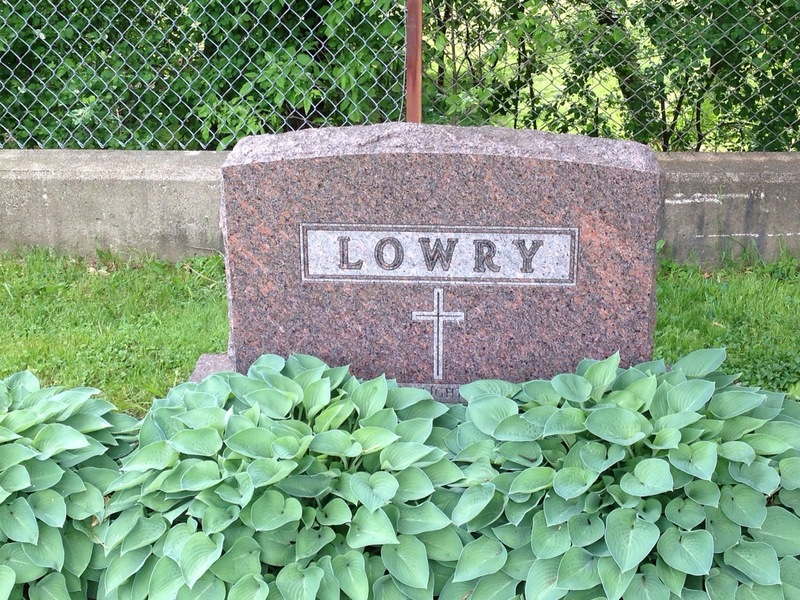 My Lowry great grandparents and grandparents’ graves are just inside the gate in Section 55, so they were first stop. Last year or so, my aunts planted several Hosta plants, which have grown nicely around the grave. 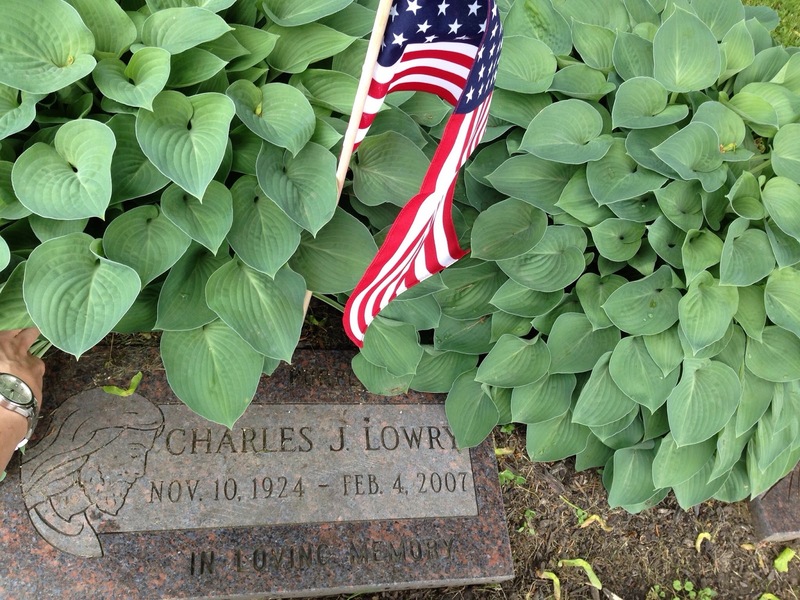 My aunt Chris and I were just talking yesterday that there was no flag on my grandfather’s grave, and I confirmed that today. A quick visit to the cemetery office, which was open on Memorial Day to handle the crowds, rectified that situation. 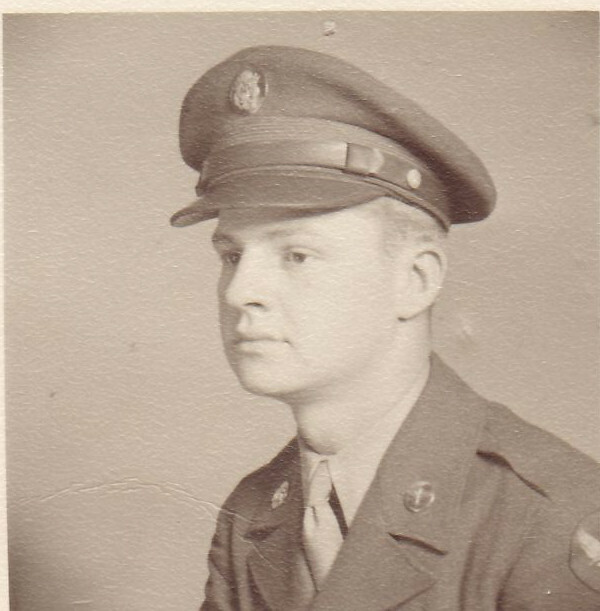 Chuck served in D Company, 28th Infantry Regiment, 8th Infantry Division during World War II, and was awarded the Purple Heart for injuries sustained in the Battle for Brest, France. He took home part of a German grenade in his leg as a souvenir. 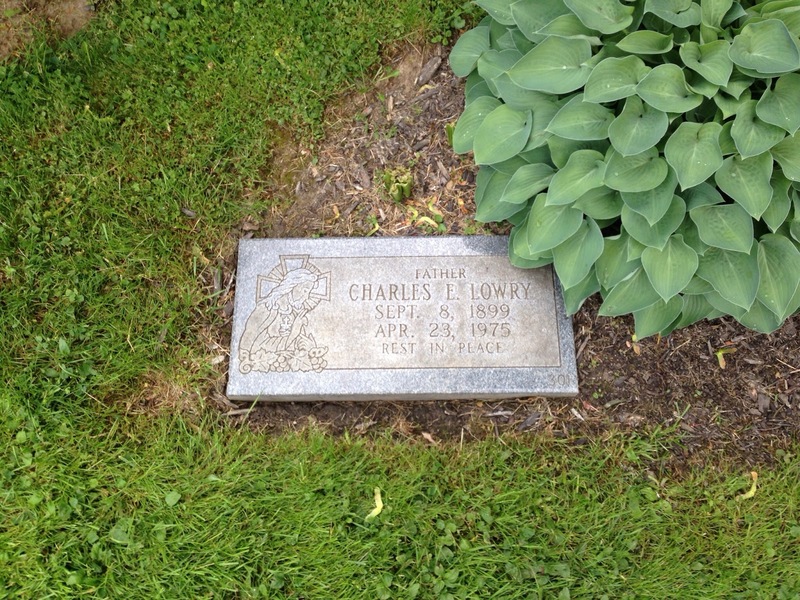 You can read more about his military service on my other blog, The Wartime Letters of Private Charles Lowry, U.S. Army. 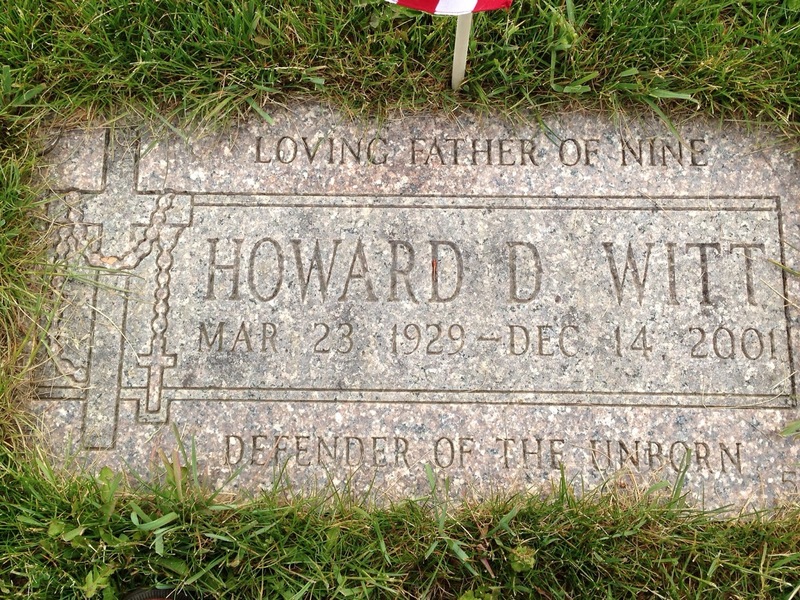 After leaving my grandparents, I wandered over to my grandpa Howard Witt’s grave. It was harder to find than I remembered, so I made a second visit to the cemetery office. 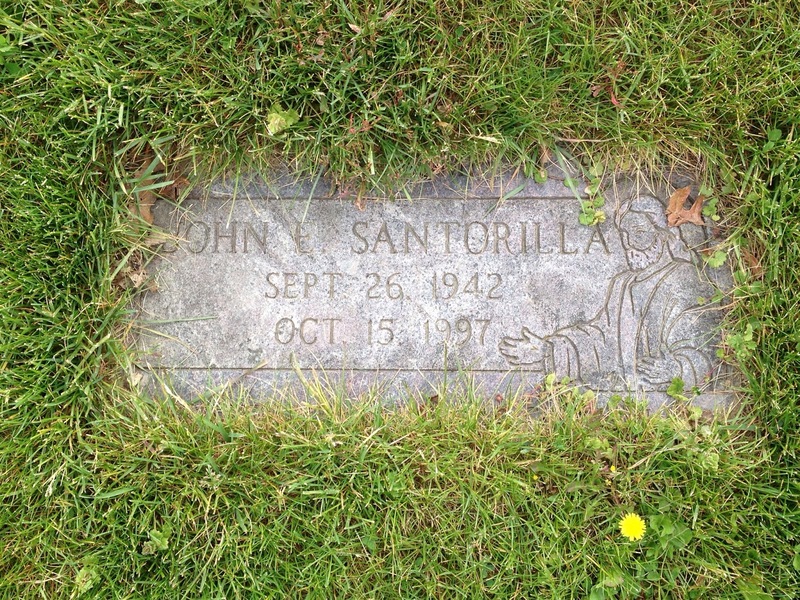 He’s buried in Section 47, Lot 552, Grave 2, directly behind my aunt Renee Witt and her dad, John Santorilla. I was probably about 10 feet away the first time I went, but found it immediately after I stopped by the office. 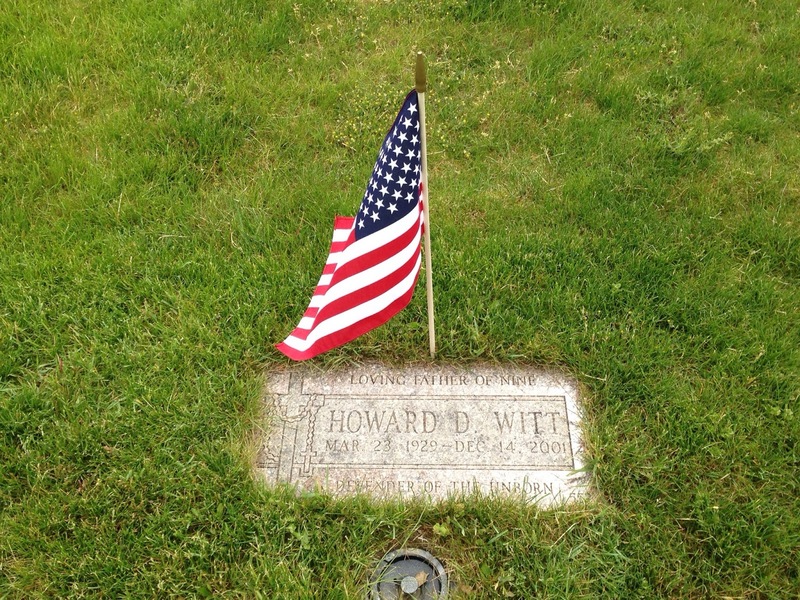 Howard’ grave also lacked a flag. Another trip to the cemetery office, a chat with the clerk about coming back to Youngstown, and back to the grave I went. 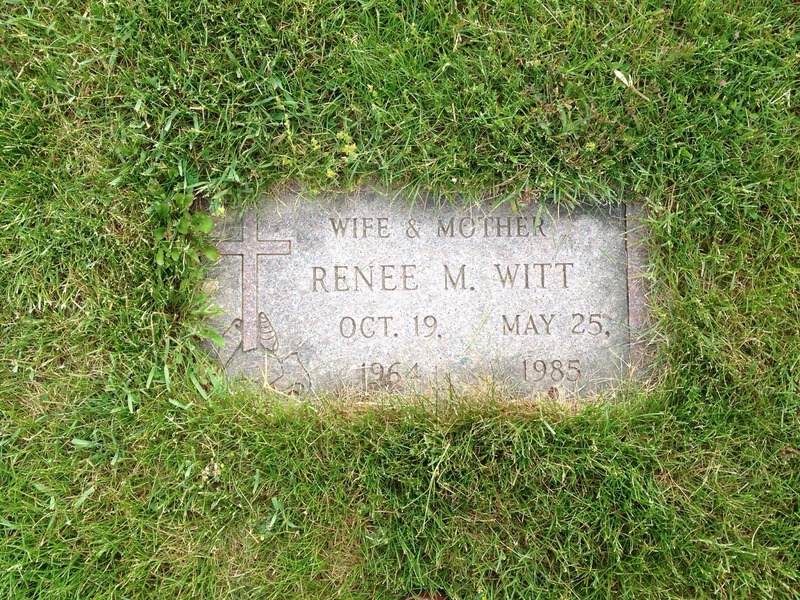 At all the graves, I spent a few minutes of cleaning grass clippings, wandering around to read the other names before it was off to find my great grandpa and grandma Witt in Section 45. 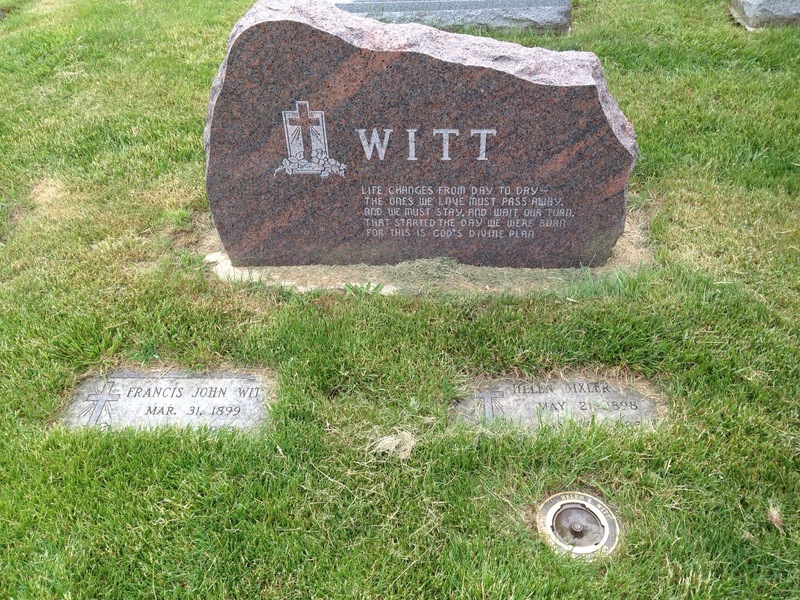 My great grandparents Francis and Helen Witt are buried together with their daughter, my great aunt Helen Witt. I was fortunate to know two of my great grandparents, and Francis was one of them. He was always sitting in his recliner in his house on Osborne Ave when we walked in, would point his cane at me and say, ‘Hey, I know you!”. I’m sure he did, but with probably 40 great grandkids by the time he died, he just wasn’t quite sure of my name! 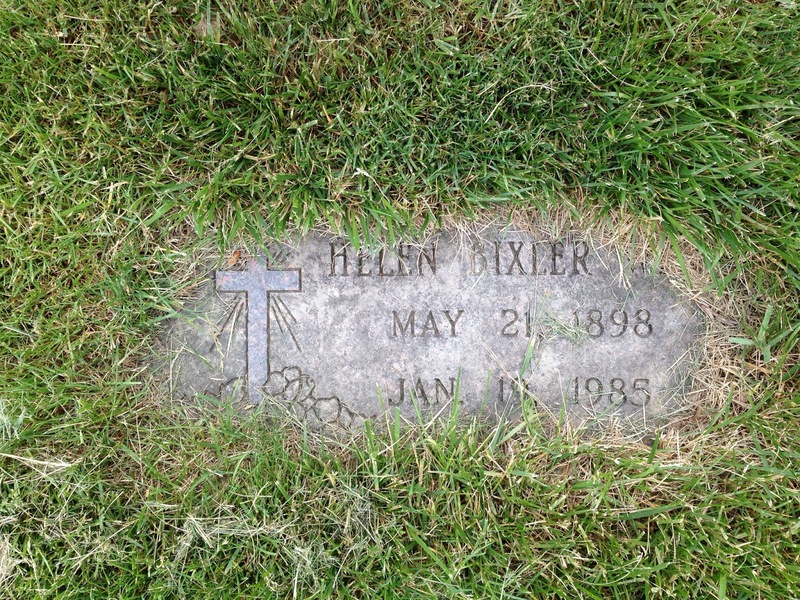 When his daughter, my great aunt Helen, passed away in 2009, she was cremated and her remains are buried above her moms. She has a flower vase in her memory. Next time I go, I’ll have to better prepare. 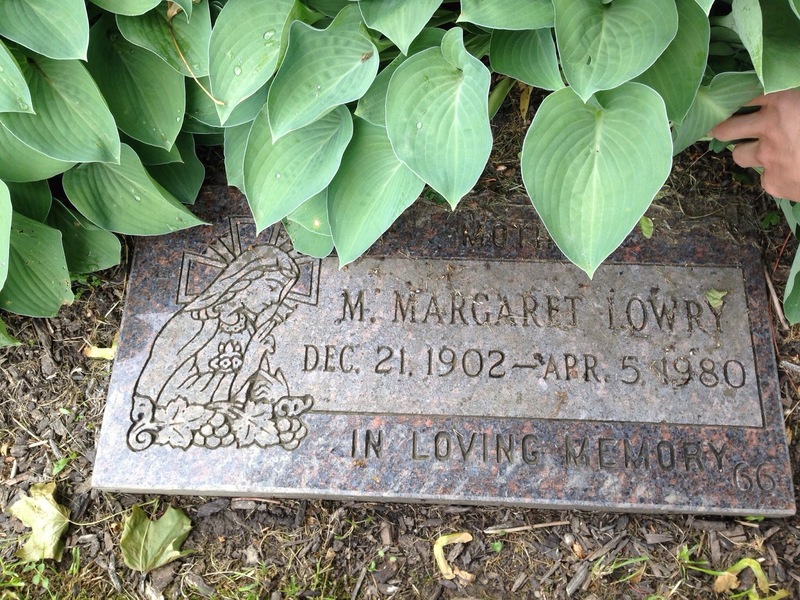 Some basic gardening tools would have helped clear the grave markers a little better. There were a few older graves to the left of my Witt great grandparents that are almost completely lost to Mother Nature. A quick sprucing would save them from disappearing under the grass. I’ll add this to the list of things to do when I’m home this summer. On March 4, 1944, my great uncle Francis Witt, Jr. was a pilot with the 547th Bombardment Squadron (Heavy), 384th Bombardment Group. He flew 10 successful combat missions before his luck ran out. He was forced to bail out of his B-17 over France after dropping bombs on Berlin. Thanks to the efforts of a group of historians to collect and archive information related to the 384th Bombardment Group, Francis Witt’s evasion and escape report is available for anyone willing to undertake a quick Google search. This report was written by Francis after being ‘recovered’ in May 1944. It’s an incredible 30+ page narrative with supporting documents that he wrote showing that although he crashed only 25 miles from the English Channel in NE France, he took a 1,500 mile journey to Gibraltar and then back to Bristol, England, evading capture. It details all the support he received from locals, things he carried with him and his escape route. You will see that Francis was lucky; of his 11 person crew, only three evaded capture. (And Francis only barely, as you will read). Eight more were guests of the Fuhrer in POW camps for the remainder of the war. My uncle Tom actually transcribed this document, which makes it slightly easier to read. However, there is something to be said for reading it in Uncle Francis’s own hand. You can read the transcribed document by clicking HERE.